Founded in 1972, Redwood Roofers has been providing the highest quality roofing on the Mendocino Coast for over thirty five years. 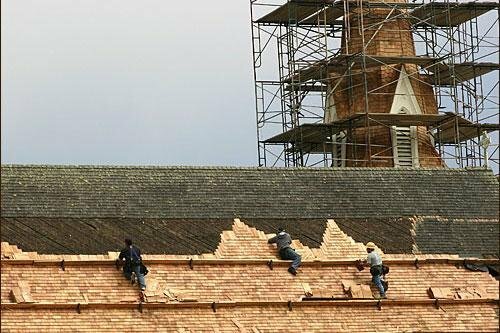 During those years Redwood Roofers is proud to have roofed many high-profile historic building in the village of Mendocino. Redwood Roofers has also roofed some of the most modern of homes on the Mendocino coast. Experience, quality, and reputation - the reason why Redwood Roofers has become the most trusted name in roofing on the North Coast.